Mercia 6 x 4 Windowless Overlap Apex Shed Single Door: The Mercia overlap apex shed comes in this traditional style with a ledged single door and a clssic apex roof design. The 6 x 4 Mercia shed features a 28mm x 28mm interior framing for strength with square cut 7mm overlap construction. The single door wooden shed includes 8mm solid sheet roofing and 10mm sheet flooring from high quality solid sheet board. 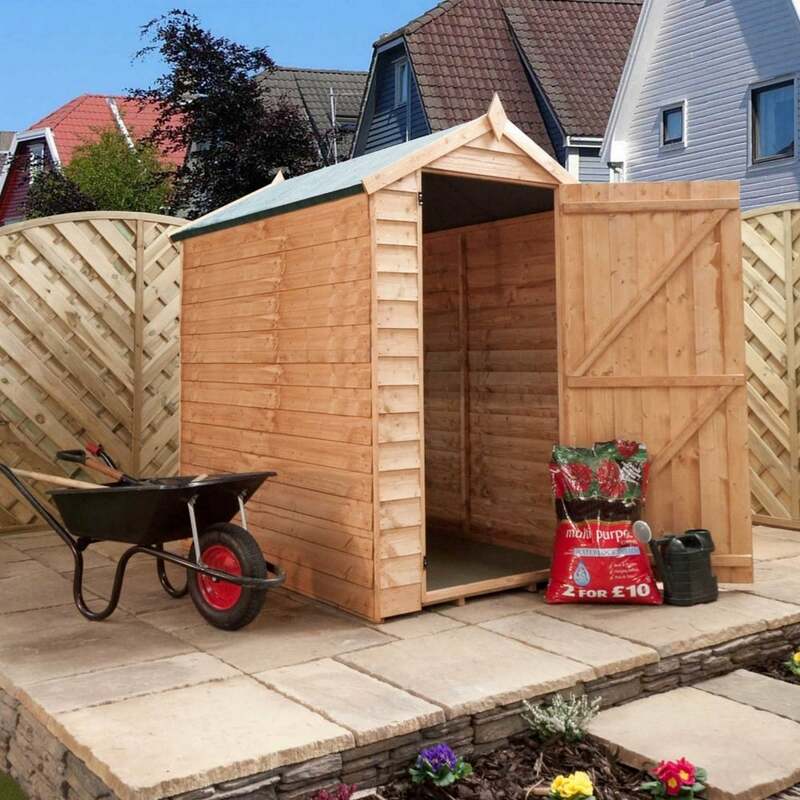 This affordable 6 x 4 apex shed is perfect for a smaller garden and comes with FSC certified timber and a 10 year anti-rot warranty.